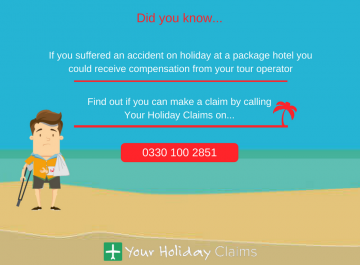 When you travel on a cruise holiday, the last thing you expect is to suffer injuries caused by an accident that wasnt your fault. However, accidents can and do happen on board cruise ships. If you have suffered an accident that wasnt your fault in the last 2 years, you could be entitled to receive compensation. 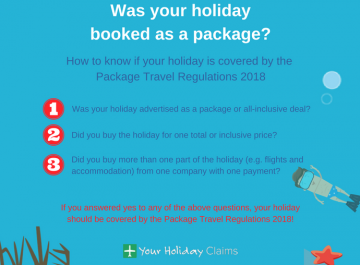 Here, our holiday claims experts provide advice on the types of accidents on board a cruise ship that you can make a compensation claim for. 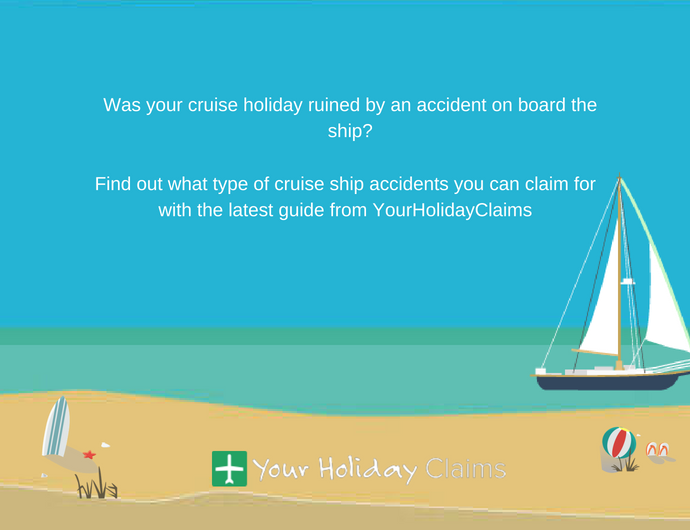 If youd like to talk to a member of our team about making a claim for an accident on a cruise ship today, call us on 0330 100 2851. 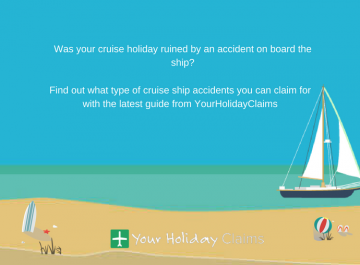 Are you entitled to compensation for your accident on a cruise ship? Suffering injuries caused by an accident on a cruise ship can be an upsetting experience for anyone. 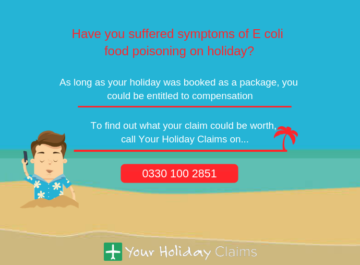 When those injuries mean you are unable to enjoy your holiday, it is understandable that you would feel entitled to receive compensation. 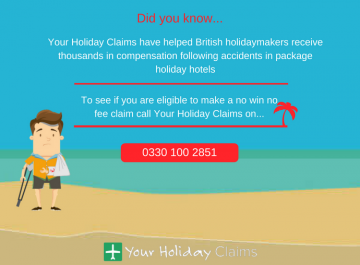 Here at YourHolidayClaims, we regularly help holidaymakers receive the compensation they deserve for accidents suffered on board cruise ships all over the world. 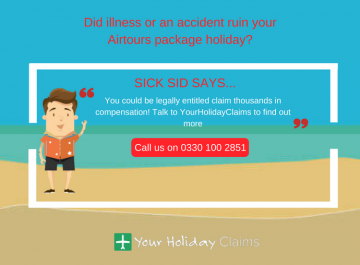 Some of the most common accidents that we have helped people receive compensation for include. Some of the most common causes of personal injuries are slips, trips and falls. If a fall has caused you to suffer injuries on board a cruise ship, you could be entitled to receive compensation if the cruise operator was at fault. For instance, trips caused by uneven flooring, poorly marked obstacles or surfaces not covered by anti-skid material could be deemed to the fault of a cruise operator. 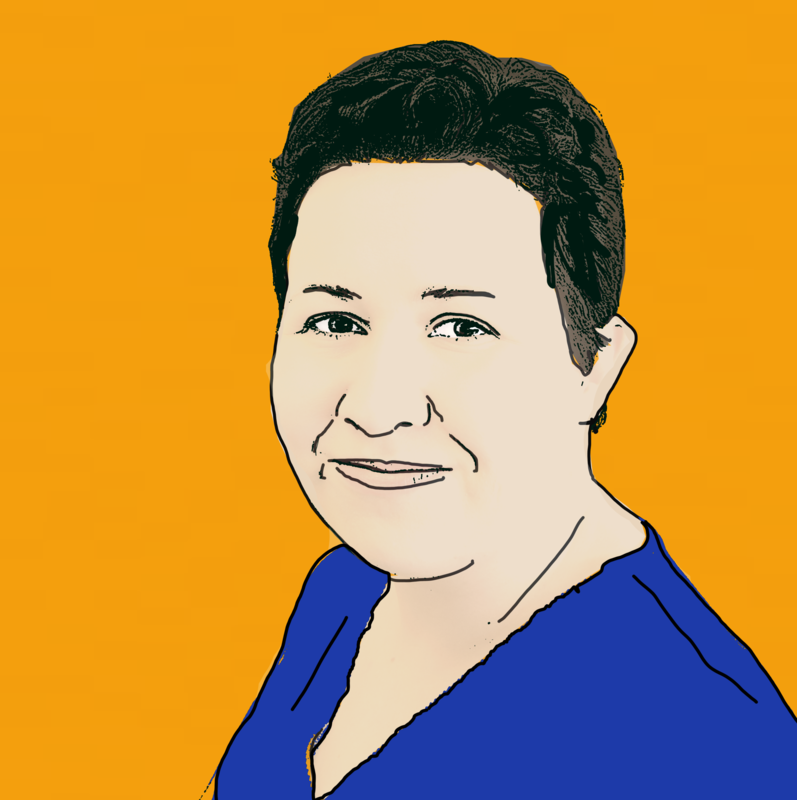 As with any claim, getting as much evidence as possible to support your claim is vital. This can include photos of the area where the accident occurred and witness statements from anyone who saw the accident. Sea conditions can occasionally put passengers at risk from falling objects which are not adequately secured. 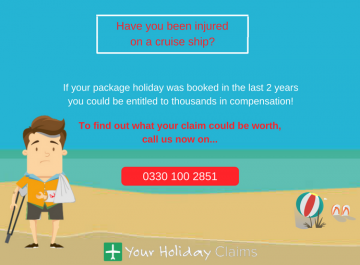 If you have suffered an injury caused by falling objects, you could be entitled to bring a claim for compensation against your cruise operator here in the UK. Our specialist solicitors can quickly advise whether you could make a successful claim for holiday accident compensation. Poorly maintained swimming pools are another common cause of injuries on board cruise ships. Uneven, cracked or broken tiles can cause serious injuries including cuts and broken bones. If pool markings are not clear, this can cause injuries if passengers are not aware of where they can swim safely. These could be any injuries caused by equipment which has been poorly installed or is not fit for purpose. If you have suffered an injury caused by faulty equipment we would always advise that you take photos of what has caused the accident where possible. 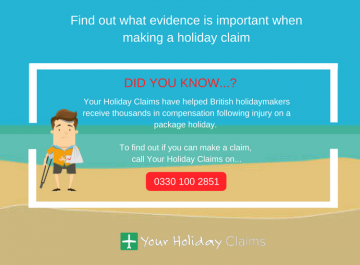 By calling YourHolidayClaims, you can speak to a legal expert who will listen to the circumstances of your claim and provide initial advice on whether you will be entitled to compensation. Although some people do attempt to go it alone when making a claim, this can leave you heavily undercompensated. 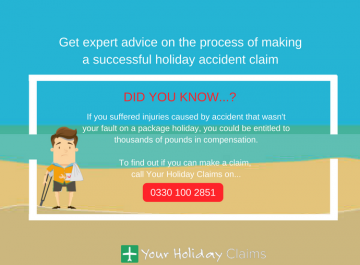 When you choose YourHolidayClaims, you will have more than 40 years combined experience on your side fighting to achieve the best possible outcome for your claim. 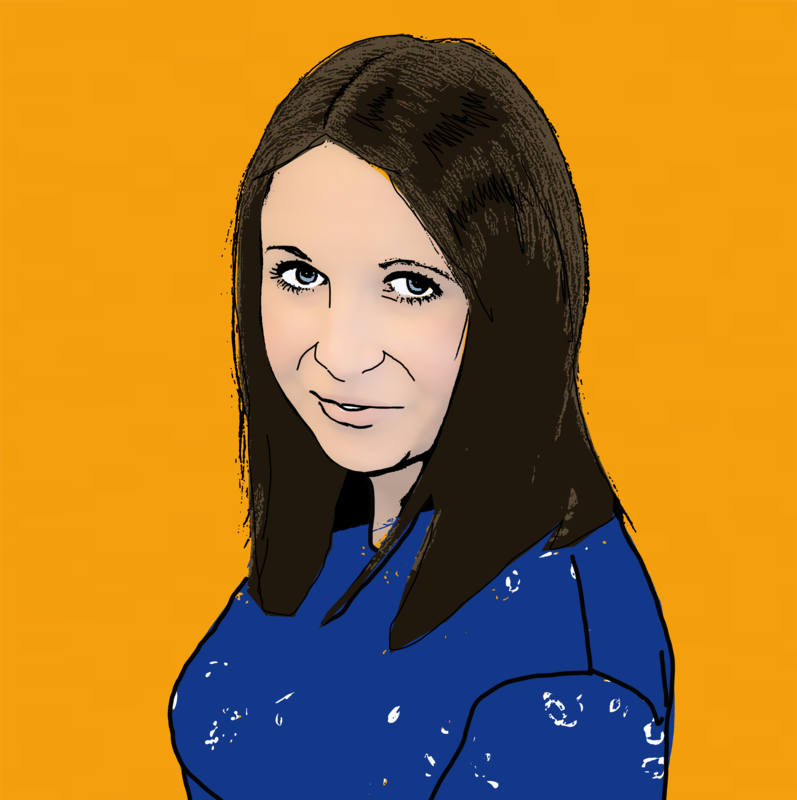 If youd like to talk to a member of friendly legal team about your claim, call us now on 0330 100 2851. 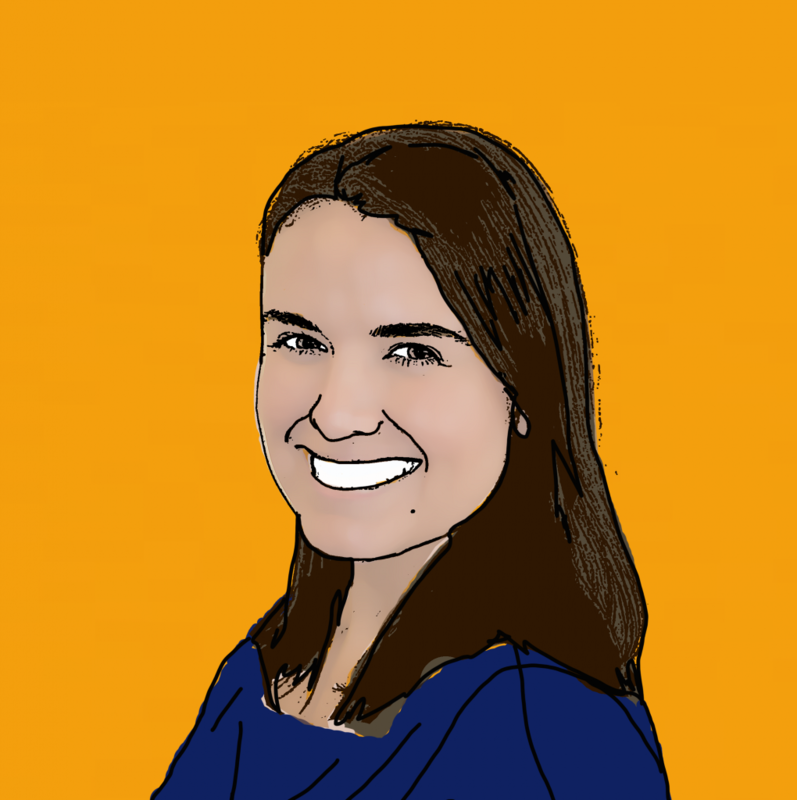 Or, you can arrange a call back at a time that suits you by completing our online contact form here.